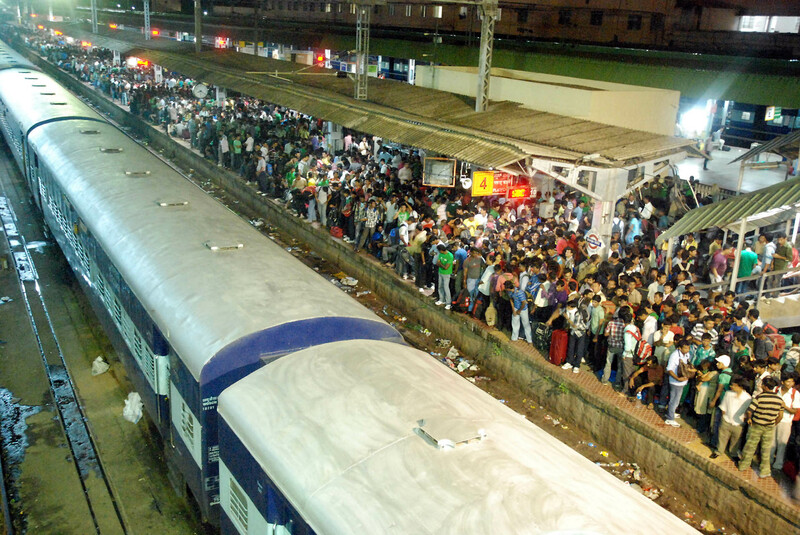 Hundreds of Indians from the North East wait to catch a train back home at the railway station in Bangalore, on Thursday. On Friday, the Centre banned bulk SMSes and MMSes for 15 days after the prime minister, Manmohan Singh, said rumours had contributed to the exodus. This entry was posted in Issues and Ideas and tagged Churumuri, Karnataka Photo News, KPN, North East, Northeasterns, Sans Serif. Bookmark the permalink. It is heartbreaking to see these photos. First we make their life miserable by neglecting growth in NE. They migrate in large numbers to other states for livelihood. Then they feel insecure and runaway from their adopted cities? Sad state of affairs. Lest we forget, Mary Kom, who is easily the biggest story of olympics, having won a medal in a category that is one class above her weight. She got the least rewards by all govt. agencies!! Discrimination of N-E has to stop. Some really big infrastructure projects and industrial projects need to ensure folks of N-E don’t have to travel far to find opportunities. Did Dr Manmohan Singh actually say something about the North-East situation? Is it a rumour…or a fact? and the originaters of the hate sms are still at large. some police guy has said it is impossible to book them. Zara aakhon mey barlo pani. It was amazing watching NDTV Bangalore correspondent (forgetting her name) talking to people in the railway station. When one gentleman started speaking the truth about how some muslims were targetting North-East people, she cut him short as though he had plague. In Sonia Raj, one is reminded of Advani’s quote, “She asked you (media) to bend, but you crawled”!!! cut the crap guys. so many people give their lives for other people’s freedom and to decrease racism. increase these kind of news . focus where the real crap is. neevinnu smssu adu idu anta yaava kaaladalliddeera? press is diverting public from real issues because the goverments want them to keep out from their ‘esoteric’ activities. churumuri learn from assange and work for fearlessly instead of pimping out useless articles. useless articles makes useless citizens. “churumuri learn from assange and work for fearlessly instead of pimping out useless articles. churumuri learn from assange and work as fearless press instead of pimping out useless articles. useless articles make useless citizens. And even now, you would like to claim Magar Mach Singh is really working towards public good? Any clue about why we NEers are forced to leave Chennai and Hyd? Find one byatch. assam border here. From 1987 Rajiv’s period it’s open for political gains. There has to be some deep rooted esign behind this sudden eruption across different states! NYT told he doesn’t flush his toilets!! Not even a proper opinion on the issue yet from Churumuri. Sad. Go on, stare at women being commodified, you dirty old men. The north-eastern dream pauses….and the skullcaps’ wet dreams soar. Can someone clarify me that the central government is not involved in this rumor plan. How come within hours of spreading the rumors they (the central govt) also arranges special trains to Assam. And they just want to blame Pakistan now, so that they can project that the Indian moslems are the best of the breed? !